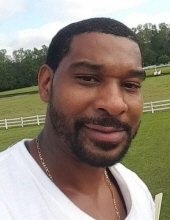 Christopher Tann, 39, of 4668 Felix Hardison Rd, transitioned on February 4, 2019. Funeral services will be held 2:00 pm Saturday, February 9, 2019 at Mills Funeral Home Chapel. Interment to follow in Mills Memorial Garden. Viewing will be Friday from 5-7:00 pm at Mills Funeral Home. To send flowers or a remembrance gift to the family of Christopher A Tann, please visit our Tribute Store. "Email Address" would like to share the life celebration of Christopher A Tann. Click on the "link" to go to share a favorite memory or leave a condolence message for the family.